The purpose of owning an investment property is to earn rental income while the asset appreciates in value. The best way to make the most money from renting out your home is by paying attention to two things: pricing and maintenance. It also helps to work with a professional property management company. Smart investors know that having an expert protecting and promoting your property is a great way to increase its value. The rental price you attach to your property will have a huge impact on how it performs and how much you earn. You want to price the home aggressively so you earn as much rental income as possible, but you also want to be competitive. A price that’s too high will leave your rental property vacant, and vacancy is expensive. Get to know the local market and do a comprehensive comparable market analysis so you know what similar properties are renting for in the area. A fair price will attract excellent tenants and it will ensure you don’t miss out on several months of rent because you’re determined to get a higher rent. Many landlords are hesitant to spend a lot of money on repairs and maintenance because they worry about how it will affect their cash flow. It’s important to think long term. You want your property to grow in value, and it will only do that if you’re keeping up with the home’s maintenance. Put together a preventative maintenance schedule that will ensure the systems and structure are inspected regularly. Train the tenants to change air filters, look for slow leaks and report problems immediately. If you do regular inspections of your property, you’ll be able to look for small problems that can be taken care of inexpensively. If you’re willing to properly price your rental home and take maintenance issues seriously, you’ll have no problem earning a healthy return on your investment. Contact us today to talk about how we can maximize the potential of your rental property. There are many options for Property Management in Hudson, Wisconsin. In Wisconsin the ability to manage property for others requires a Real Estate Brokers License. Even though licensing is handled in the same way as real estate, Property Managers are often different than Real Estate Companies. 1. Are they licensed in the State of Wisconsin. It is important not only that they are a licensed broker, but licensed in the State of Wisconsin. 2. Is property management their main business? Sure, your Realtor can manage your property, but are they trained in all of the specifics of Property Management? Property Management has many laws including laws handling choosing tenants, damage deposit, service animals, and much much more. It is always a good idea to meet with your Hudson Property Manager, make sure they understand the nuances and differences in both Property Management and specifically Property Management in Wisconsin. 1. What is your pricing? The cost of a Property Management company can vary widely. 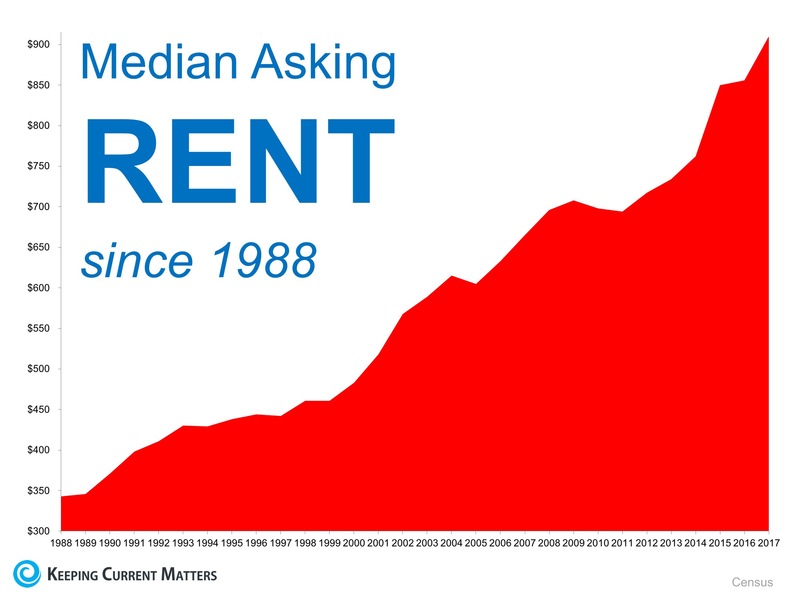 Some charge a percentage of rent, for example 8% or 10%. Some charge a flat fee. While it may seem obvious which is the better price, you need to know things like what charges are there when the product is vacant? What do you charge for setup, for renewals, even evictions. 2. How do you handle maintenance? You will want to know if they have their own Maintenance Company, if so, are they licensed, what do they charge? Do they have 24 hour service. 3. What sort of properties do you manage? Many companies specialize in specific management. For example, Single Family Homes, or Multi-Family such as duplexes and Apartments. Commercial Property Managers and Association Management are also very unique skills. You will want to find out what they have management in the past and what they do best. 4. Are they members of any trade associations? These associations often provide education in Property Management. For example, NARPM, the National Association of Residential Property Managers, or MHA, the Minnesota Multi-Housing Association. Who Are the Property Management Companies in Hudson, WI? I am sure there are others, but these companies have been around in Hudson, Wisconsin for some time now. Hopefully this helps you both find a great Property Manager in Hudson, Wisconsin, but also help you choose the best property management company for you! Deciding to have a property management company professionally manage your investment is an excellent idea that can save you money and increase your return. Choosing the right management company will have a huge impact on your success as a landlord and an investor, so make sure you know what to look for when you’re interviewing property managers. Check out a property management company’s reputation before you begin making phone calls and setting up interviews. Go online to see what their current and former customers have to say about them. Talk to people in the real estate and property management business. Find out if the company belongs to professional associations such as NARPM – the National Association of Residential Property Managers. Look for success stories. You want to see results, and if a property management company can show you that they maintain a vacancy rate that’s lower than average or help to achieve rents that are above market, you’ll want to talk to that company. When you do talk to management companies, ask about the procedures and processes they have in place for the successful management of your investment home. They should be able to explain how they prepare your house for the market, advertise your listing and schedule showings. You’ll want to know how they screen tenants, what they do with security deposits and how maintenance requests are handled. Ask of they conduct regular inspections and how they collect rent that’s overdue. You’ll need to know that the property management company you choose can be trusted to enforce the lease and protect the condition and value of your property. It’s also important that their operations are compliant with local, state and federal laws. They should be able to explain fair housing laws to you as well as the eviction process. Ask them to tell you how you can be sure a tenant receives the security deposit refund within the legal timeframe. Communication between a property owner and a property manager is critical. You also want to be sure they are communicating well with current tenants, prospective tenants, and vendors. Make sure they are utilizing the latest technology, which can help you stay up to date on the condition of your property. Good management companies will provide an online portal where you can check your statements, approve repair invoices and see how the home is performing. Tenants should also be able to access their own online accounts to pay bills, request maintenance work and renew their leases. You hire a property manager to take care of one of your greatest assets. Make sure you do a thorough screening process so you choose the right company for you and your home. If you have any questions about choosing a property management company, please contact us. Some of the most common mistakes landlords make are due to a lack of experience or knowledge. Successful rental property owners need to screen and maintain the home in order to manage it effectively. They’re also required to know and understand the laws and pay attention to the local rental market so they can price the property correctly and have a grasp of what tenants are looking for when they rent. These are the four most common mistakes landlords make, and how you can avoid them. If you don’t screen your tenants properly, you have no idea who you’re letting into your property and what they’re capable of. Make sure you take the time and invest the resources into thorough tenant screening. At the minimum, you need to conduct a background check, look at the credit report, verify employment and income and talk to current and former landlords. Good property managers will go even further by pre-screening tenants before they even take the time to show the property. If you aren’t able to complete full national criminal background checks and you don’t have access to national eviction records, work with a property manager or a leasing company that can help you gather this information. Inadequate screening can be a very expensive mistake. Another potentially expensive mistake is not knowing or understanding the national, state and federal laws that govern your rental property and your relationship with tenants. These laws change and evolve all the time, and if you don’t know what they are – you put yourself in legal jeopardy and financial liability. Fair housing laws are especially complex, and many landlords violate them without intending to. You need to make sure you educate yourself on the legal requirements of being a landlord, and you need to keep all your systems and procedures consistent and compliant. If you don’t keep up with maintenance on your rental property, you run the risk of upsetting your tenants. You’ll also see your property decrease in value if the condition deteriorates. When a repair need is reported, take care of it right away so your tenants know you are responsive and accessible. Take care of preventative maintenance issues so small problems do not become expensive problems. Ignoring maintenance requests and putting off repairs are mistakes you cannot afford to make. Pricing your home correctly depends on the market and your competition. If you have had the same tenant in the property for five years and you haven’t raised the rent, you’re probably losing money. If you insist on earning a certain dollar amount in rent every month and you refuse to budget, you’ll probably have a longer vacancy, which is also a huge expense. Know your market and how your property fits into it so that you’re earning the maximum rent you can while keeping your price competitive. These are just four of the mistakes we see landlords making all the time. If you’d like to learn more about how to be a more successful landlord, please contact us at info@trikinproperties.com or call us at 651-964-3812!